We're Here to Help You Earn Your Degree! At Grantham University, we measure success by how well we help our students – busy, working adult learners like you – overcome challenges to successfully earn a degree. We were one of the first schools to make the switch to 100% online classes to help students fit a degree program into their lives. And then we pioneered internal processes designed to give students immediate help, ensuring they have the resources they need to be successful. We’re here for your success. And we’ll walk every virtual step of the journey to make sure that happens. I felt like the professors were there with me because, if I had a question, they answered immediately. It was unreal, the level of communication that I got and how personal they were. To me it felt like they truly and genuinely cared. Your end-goal is finding the career you love. At Grantham University, we're committed to your success. Earning your degree was step one. From résumé assistance and interview tips to accessing job postings, our Career Services staff is here to help you achieve step two. For more information, contact Grantham University's Career Services at (800) 955-2527 Ext. 173, careerservices@grantham.edu, or Grantham Alumni Connections. Extend your reach into a pool of job candidates well-qualified in business, healthcare, technology, criminal justice and more. 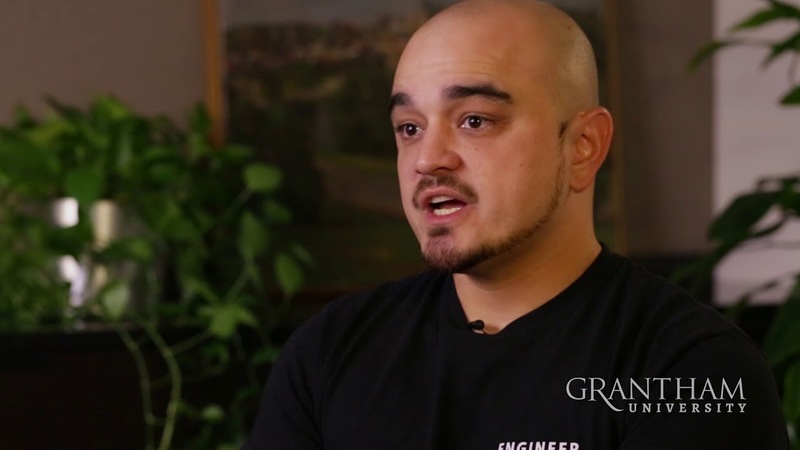 Many of Grantham’s students are military service members, so your job postings reach a highly qualified candidate pool known for exceptional work ethics and self-discipline. For more information, contact Grantham University's Career Services at (800) 955-2527 Ext. 173 or careerservices@grantham.edu. Through the Teaching & Learning Center, we give our students access to helpful resources such as tutorials, live chat sessions with faculty, an online library and individualized tutoring. We also provide links on tips and techniques for effective study habits, time management, communication skills and more. Grantham University participates in federal financial aid programs in order to help students overcome life’s challenges and earn a degree. We are happy to comply with mandates to provide current and prospective students with the consumer information they need to make a good educational decision. Ultimately, you are responsible for your academic decisions and education … but your SA is here to help make your education a success. It’s your education. Let’s make it a good one. Stay in contact. Grantham University’s Teaching and Learning Center (TLC) provides academic support by offering assistance to students who need help with their courses. In addition to the Math Center, Writing Center and weekly live group chats, TLC also offers two hours of individualized tutoring each week to Grantham students. After you enroll, if you need one-to-one tutoring help, it’s easy to access through the Blackboard learning center. From the minute you step through Grantham’s virtual door, we strive to provide a full circle of attentive, one-on-one, exceptional student support. One way we do that is through our Student Success Partners (SSP) program. It gives you a way to build a team of personal supporters – friends, family, mentors, fellow classmates, etc. – to work with your University support system to help you achieve success. These partners will have the ability to check your academic progress to hold you accountable … and to celebrate your victories. Ignite your job search through a top-line online presence. Prepare for a new career with this Military-to-Civilian transition guide. Entering the Civilian Workforce – Your Journey Starts Here! Get a head start on your Military-to-Civilian career transition with this helpful guide. Everything you need to know about online learning in one convenient location. Prepare for success as you take your first step toward an exciting new civilian career. Start making your move toward a brilliant civilian career. Leverage social media, LinkedIn and more to create an exceptional professional brand. Prepare for a successful civilian job search. Discover sound tips for turning interviews into job offers. With more than 5.8 million students taking classes online in the United States alone, online education is quickly becoming more than just an acceptable way of learning. Find out how to fit a degree and a career into your busy life. Make earning a degree part of your career plans - in our out of the military. Taking down the Mob - the wiretaps that brought Midwest Mafia bosses to justice. An insider's look at the SHRM-CP and SHRM-SCP certification process. Grantham University presents its monthly Career Booster webinar series featuring topics perfect for career seekers and established professionals alike. Be the One Every Employer Wants to Hire! You have career goals. We’re here to help. Whether you’re looking for your first great job, seeking to transition into a new role, or planning to pursue a career change, we have the program for you. Career Launch is a no-cost program open to all Grantham students and alumni who want to hone the skills required to land that dream job and thrive in your career. Registration is quick and easy. Reserve your spot today! Reserve My Spot Questions? Contact the Grantham University Career Services Department at 1-800-955-2527 Ext. 173 or CareerServices@Grantham.edu. Are you interested in connecting with fellow Grantham graduates and Recruiting Partners? Join our LinkedIn group and receive daily updates on career planning advice and the latest employment opportunities. Each month, the Grantham University Career Services team will provide an engaging, informative and interactive presentation geared toward personal career development. Panel discussions and industry professionals will lead the way through the guided presentation, with time for audience questions at the end of each live session. Additionally, our Recruiting Partners will share information regarding their organization and available career opportunities through Employer Information Sessions. View Upcoming and Archived Webinars! Thank you for your interest in Grantham University graduates. We value your relationship and would like to offer you an opportunity to easily connect with our qualified professional candidates via LinkedIn. Access Qualified Candidates through LinkedIn! Whether you're in healthcare, engineering, technology, or business, finding the right candidate sometimes feels harder than it should be. But there's a pool of graduates who already have the work ethic, discipline and skills to hit the ground running - Military Veterans. Sign up for the free online course or connect with Career Services to schedule a training for the entire team! Register for Hiring Vets is Good Business! 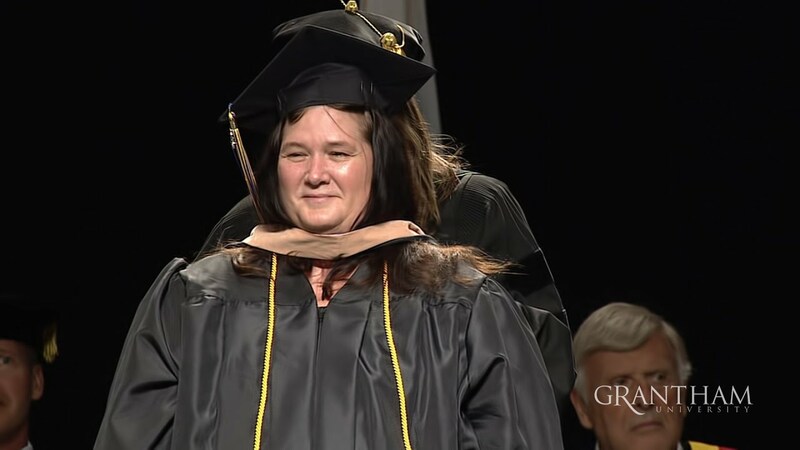 Grantham University's community outreach program works with associations, businesses and educational providers to advance your adult continuing education goals. Connect with Our University Outreach Team! Career Services does not guarantee employment and does not provide placement services. Should you have any questions relating to careers associated with your degree program or need assistance in the development of the career tools necessary to conduct a successful career search, contact Career Services at (800) 955-2527 ext. 173. Regulations promulgated by the United States Department of Education to implement changes made to the Higher Education Act of 1965, as amended (HEA), by the Higher Education Amendments of 1998 require the disclosure of financial assistance and institutional information to students under the student financial assistance programs administered pursuant to Title IV of the Higher Education Act of 1965, as amended. These programs include the Federal Pell Grant Program and the William D. Ford Federal Direct Loan Program. Under the regulations, Grantham University must, on an annual basis, distribute to all enrolled students a notice of the availability of financial assistance and institutional information required to be disclosed pursuant to the HEA amendments and pursuant to the Family Educational Rights and Privacy Act (FERPA) which governs access to student educational records maintained by educational institutions and the release of information from those records. Consumer information for current and prospective students can be accessed via the links below. Students may also contact the Compliance Department, 16025 W 113th Street, Lenexa, KS. 66219, or email compliance@grantham.edu to request a paper copy of these disclosures or for more information on any of these topics. Additionally, students may direct specific inquiries about student financial assistance to finaid@grantham.edu.